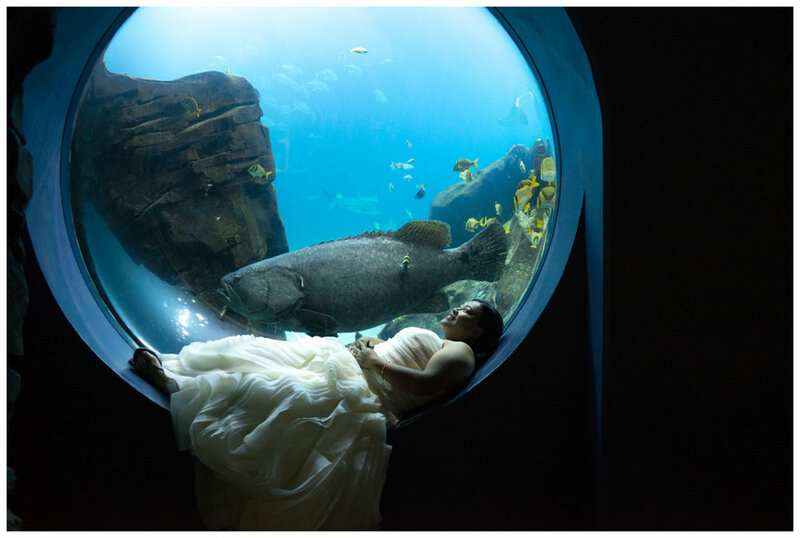 You will never guess the backstory about this wedding photoshoot at the Georgia Aquarium! To start this story, you must learn one quirky thing about me; I sometimes answer phone calls from weird numbers. You know.....usually if you don't know the number you just ignore it. Especially if it's not a Georgia number. But I must be one of those rare people who find suspense and joy in the "unknown" phone number. And of course it is usually a recording that tells you "you qualify for a business loan" or "you won a cruise". But in my mind there is always the question, "what if someone is calling me for a good reason?!". I would hate to miss out on that! Thanks to my weird phone answering quirk, I answered a phone call from Canada and was pleasantly surprised. I was the ONLY photographer in Atlanta that answered Chris and Linda's phone call. No way! Chris and Linda halted their big wedding plans and traded it in for something more fun! They eloped in Canada and spent their "big wedding money" on a roadtrip honeymoon across the US instead. How cool is that!? One of their stops happened to be...the Georgia Aquarium. Thus, needing an Atlanta wedding photographer, they called me and told me their story. Chris reserved the entire aquarium after hours just for us to take pictures (photographers dream!) They brought their wedding clothes and we had a blast! I will say, this was one of the most technically challenging photo shoots i've done so far. The glass in the aquarium is very reflective and shows every little exit sign and lightbulb reflection. Thank goodness for the clone tool in photoshop! I also had to really focus in my off-camera lighting knowledge, because let's face it.....at night there is no such thing as natural light in an aquarium. Thanks to my assistant/flash holder/future husband, Derek, we did it! I never would have been able to do this without the hours of practice and patience. Ya'll, it is so worth it! I am so thankful I answered that phone call that day. This has to be one of my favorite photoshoots of my career so far. Chris and Linda were such a fun couple to work with! They were so graceful to answer all of my questions about Canada and travel. So neat to hear an outsiders perspective on the south, haha! 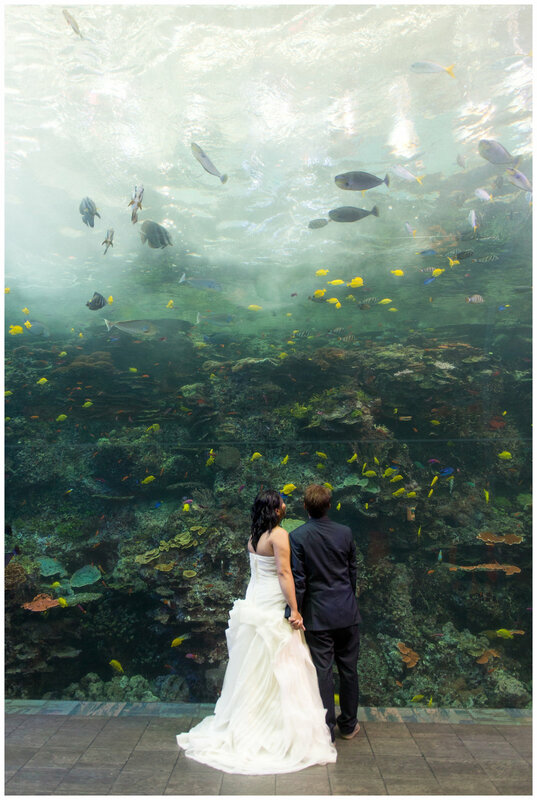 My next goal is to shoot a wedding at the Georgia Aquarium next! That is definitely getting added to my "photography bucket list". What a dream venue!